Djenaba joined Civic Consulting Alliance as a Senior Associate in November 2018. She currently works on the West Side United project at CCA, which aims to close the gap in life expectancy for citizens on the West Side of Chicago by helping to build healthy communities. Four areas of focus for the WSU project are: health and healthcare, neighborhood and physical environment, economic vitality, and education. Prior to joining Civic Consulting Alliance, Djenaba worked in affordable housing as a Regional Program Director in Oakland, CA. There she defined the vision, program plan, and anticipated outcomes for the West Oakland Initiative - a cohesive, strategic, regional community development plan. She managed all aspects of the overall development, coordination and execution of programs and community engagement strategies for three affordable housing properties serving over 800 residents. Additionally, she brings several years of experience in strategic planning, relationship management, partnership development, program design, and communications. 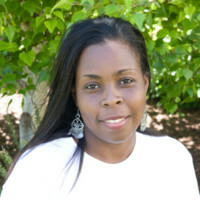 Djenaba holds a Bachelor of Arts degree in English from Cal Poly, San Luis Obispo and a Master’s degree in Consciousness and Transformative Studies from John F. Kennedy University. In her (increasingly rare) free time she enjoys reading, writing, cooking, having deep conversations about the latest existential crisis with her two pre-teen daughters, and wine.